Shadow and hidden imagery . A workshop for families in the gallery, visitors will be invited to investigate the artwork on exhibit by David Quinn using the Discovery Box made by Sarah Ruttle. After taking a good explore of the work in the gallery shapes. Facilitated by Sharon Dipity. 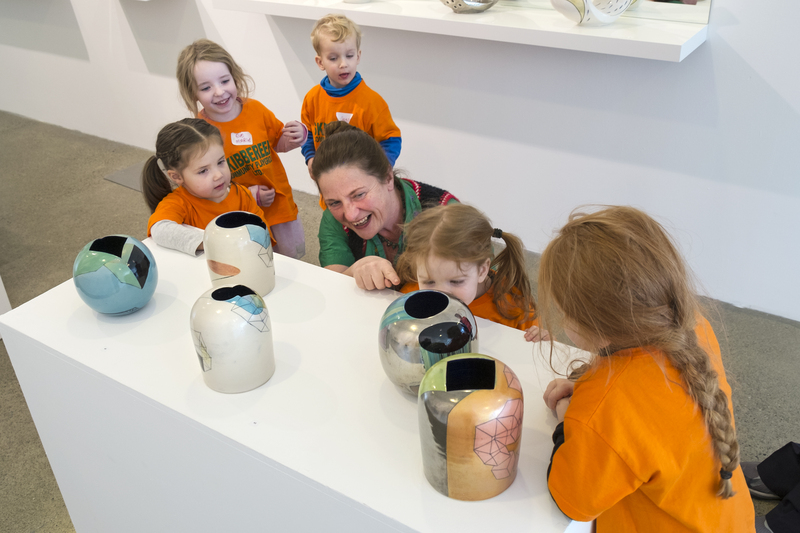 Children participating in Curiosity Club with Toma McCullim, David Seeger, 80: Moving Still (4 November to 12 December 2017). Photo by Kevin O'Farrell Photographer. Image courtesy of Uillinn: West Cork Arts Centre.